Now her visions are coming true. John Stone, once a baseball star and now a famous gonzo journalist, stumbled across a plan to blast humanity back to the Stone Age. Then he vanished. Lydia's only hope of tracking him down lies with her stubborn, globe-trotting daughter Kate, Stone's former lover. 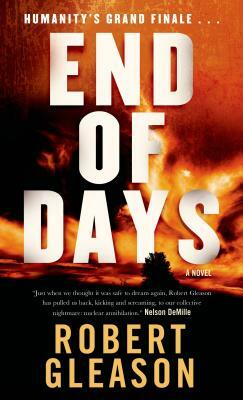 In Robert Gleason's End of Days, the world is armed for self-destruction. Who will survive?